Mike Makubika is entering his first season as a member of the Moccasin men’s basketball staff in 2015-16 and his sixth as Donnelly’s top assistant. 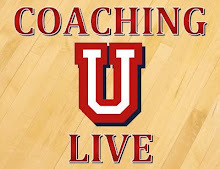 Makubika came to Florida Southern in May of 2015 after spending the past five seasons as an assistant men’s basketball coach on Donnelly’s staff at Southern Connecticut State University. In his time at Southern Connecticut State, Makubika was involved with all facets of the Owls program and helped the program reach the postseason all five seasons, including a 30-3 record and an Elite Eight appearance in 2013-14. Since arriving at SCSU in 2010-11, Makubika helped the Owls post a 97-48 record over the past five seasons, including one Elite Eight appearance, one Sweet 16 appearance, two Northeast-10 Conference Southwest Division titles and one Northeast-10 Conference Tournament championship. Makubika joined Southern Connecticut State after spending the 2009-10 school year as an assistant under Donnelly at Post University. In his role at Post, Makubika was responsible for on-court instruction, player development, scouting, strength and conditioning and recruiting. Prior to getting into collegiate coaching, Makubika served as a team manager at both Syracuse and Central Connecticut State University. He served as a team manager at Central Connecticut State for two seasons, before transferring to Syracuse, where he filled the same position for three seasons. At Syracuse, Makubika worked with Hall of Fame coach Jim Boeheim. He earned his Bachelor of Science degree in physical education from Syracuse in 2006 and earned his masters degree in Higher Education Administration from Syracuse in 2008.